Two days after claiming a car thief took off with her little boy, Domanique Marie Rezende has been charged with filing a false police report of a child abduction. Rezende, 32, was shopping at a beauty supply store on Joy Road near Greenfield when a man jumped in her car that she left running. 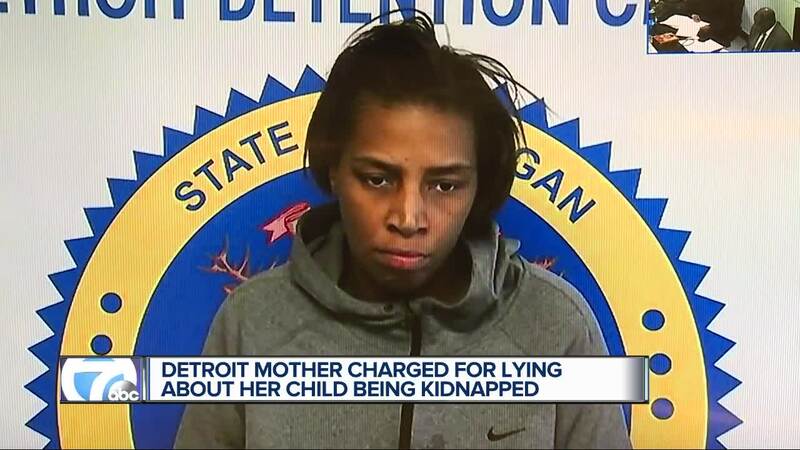 DETROIT (WXYZ) — Two days after claiming a car thief took off with her little boy, Domanique Marie Rezende has been charged with filing a false police report of a child abduction. Rezende, 32, was shopping at a beauty supply store on Joy Road near Greenfield in Detroit when a man jumped in her car and took off. She had left the engine running. A witness told 7 Action News that Rezende ran after the man as he drove off in her vehicle, but he got away. And when Detroit police arrived, Rezende claimed there was a 4-year-old boy in the vehicle when it was stolen and she told police that the child was her grandson. It's unclear if Rezende reportedly lied to get a better police response to find her stolen vehicle or if she was just confused. Detroit police were suspicious of some details Rezende had given them. When officers went to Rezende's home, they found the little boy, her son, and her mother, the child's grandmother. The stolen vehicle was recovered, but Detroit police are still searching for the car thief. Bond for Rezende has been set at $7,500. She can be released if she posts 10% ($750).